Abhay Wadhwa, Founder and Design Principal of AWA Lighting Designers, sees lighting beyond its conventional purpose. Here he crafts a story using lighting design and technology to create moments of experience, that factor into the psyche and emotions of those who work, live or visit the spaces designed by AWA. While doing so, he is seeking innovative solutions that challenge convention while augmenting the integrity of the architects’ vision. Pragmatic lighting design nestles comfortably with artistry. Abhay founded AWA Lighting Designers in 2002. Abhay has been intently and quietly focused on questioning the lighting zeitgeist since. Based in Brooklyn NY, he works extensively with the world’s leading architecture and design firms in the fields of commercial and mixed-use developments, urban planning, transportation, infrastructure, hospitality, and healthcare. He is an internationally acclaimed keynote speaker, educator and author of numerous advanced light engineering and cultural lighting articles, and has worked with the United Nations Foundation on projects that address issues that marginalize many of the world’s population. Most recently, he was asked to work with the Rural Haiti Project and Ethiopia’s Mary Joy Aid Through Development to improve the infrastructure, and in turn the lives of its residents. He has also been referred as the “Poet of Light” by a Canadian journalist, and in lighter moments, he takes this title very seriously. Abhay is inspired by the cultural and emotional effect of lighting, and aspires to make a difference in our visual environment with his passion for his craft. A love of technology means he continues to find innovative solutions to stretch light so it goes deep into the shadows allowing both light and dark to harmoniously co-exist. The results are breathtaking projects that evoke a response from all those who work, live or visit the spaces designed by Abhay and AWA. Abhay’s high design content and technical prowess are at the cutting edge of what is being designed in the 21st century. Abhay is pushing the technical paradigms with the development of an innovative fixture that draws inspiration from other fields – theater, optical engineering, and lamp technology – and offers a multi-layered approach to directing light. His projects respect local cultural expectations while retaining a larger sense of purpose within the world order with integrity and pushing the design envelope. Together, Abhay’s inventiveness and his design acumen have won competitions bringing in many highly visible projects for AWA. These include the Singapore Consulate in New York; a 14 million sft Mall in Central Asia; a complete integrated township for 100,000 residents in Saudi Arabia; Hotels in Africa; the Dubai Sixth Crossing Bridge, the tallest and longest single arch span bridge in the world; the renowned Peak Tower in Hong Kong; the lobby at 575 Lexington Avenue in NYC for Silverstein Properties; Bushwick Inlet Park, a LEED Gold-Rated center for the State Parks Department in Brooklyn, NY; and Brigade Gateway/ WTC project in Bangalore, India. Abhay also won the Flos/ Elle Décor international fixture design competition with his design for “Light Chords”, a fixture suggestive of the form of a traditional African plucked instrument, the Mbira. 7. Future Trends: What will 2030 bring? Abhay has also brought these leadership skills into the classroom for the past five years, believing that passing on the accumulated knowledge that comes from designing and communicating with global industry leaders is critical to inspiring developing designers to generate new lighting paradigms. He has been serving as an Adjunct Professor for the Graduate Lighting Design Program at Rensselaer Polytechnic Institute’s (RPI) esteemed Lighting Research Center (LRC) since 2003. Abhay holds a Master’s of Science Degree in Lighting from the Lighting Research Center (LRC) at Rensselaer Polytechnic Institute (RPI) in Troy, New York, and pursued graduate studies at the University of Southern California (USC). He holds a Bachelor’s Degree in Architecture from Sir JJ College of Architecture in Mumbai, India and worked as an architect in Mumbai. Abhay was nominated to “40 under 40 Hall of Fame” by BD+C in the United States in 2009. Abhay won the GE Edison Award of Excellence, the IIDA Award, the Lumen Award, and the Paul Waterbury Award of Excellence for lighting the George Washington Bridge Towers in New York and New Jersey. He is the recipient of many prestigious industry awards, including the International Illumination Design Award (IIDA) for his work on the Museum of Fine Arts, Boston. 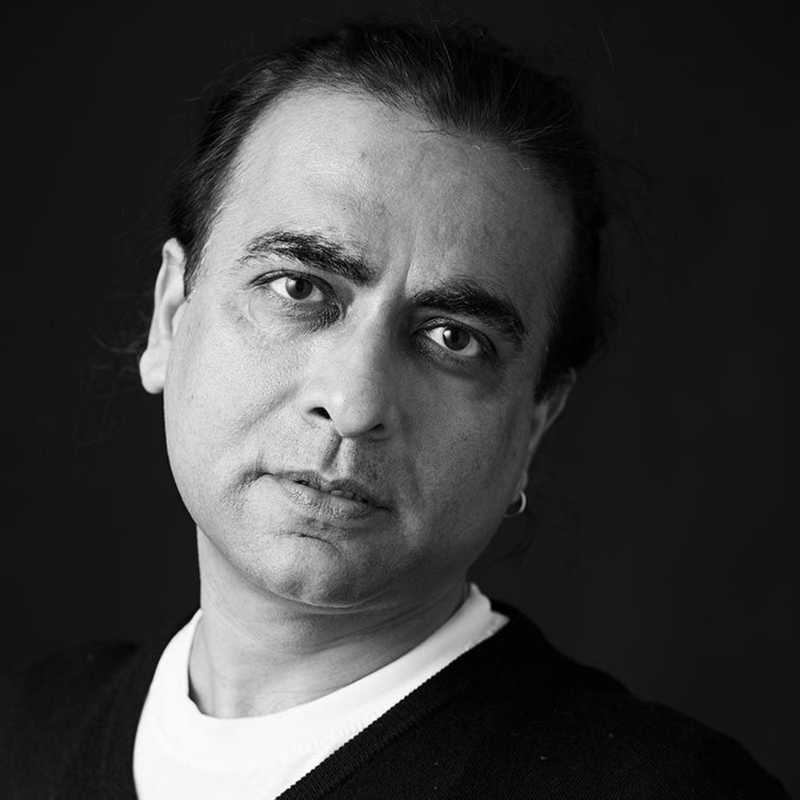 Abhay also served as Chairman of the IESNA International Relationships Committee for three years, placing him at the center of a growing global lighting design dialogue. Through his professional and academic endeavors, he has made a commitment to expand understanding of the value of well-lit visual environments worldwide.